They say that variety is the spice of life, and when it comes to fishing, there are many anglers who live by this very motto. Fishing is a diverse field, and there are many types that you will definitely want to try. If you are ready to branch out and explore a bit, take a look at the FishingLicense.org list below. If you’ve never tried shore fishing, you could be missing out on one of the most iconic pastimes in American culture. Simply visit the shore of a nearby body of water – be sure that it is open to the public or get permission before fishing. Ponds, lakes, rivers, and even the ocean are great places to start, and shore fishing is great for anglers at all skill levels. When choosing a spot, try to select a remote area that is away from the more heavily trafficked paths and entrances (if fishing at a public park). The more remote areas will more than likely contain a higher number of fish since they are fished less often. You should also remember that the majority of freshwater fish will be closer to the shore than you expect. If you are interested in catching sportfish, the team at FishingLicense.org knows that you will definitely want to give saltwater fishing a try. 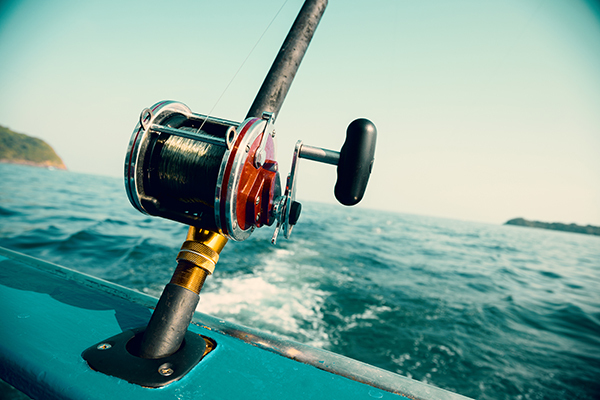 Novices can choose to fish in shallow waters and more experienced anglers can try deep-sea fishing. When fishing in the open sea, you will be more likely to catch larger fish such as tuna, and marlin, so be sure to choose a larger boat. If you don’t want to fish in the open water, many estuaries and saltwater flats are open to anglers year-round. You should also remember that saltwater fish tend to be more aggressive than those in freshwater, so be careful when handling them. The FishingLicense.org team believes that anglers residing in colder climates, and those who prefer to fish during the winter months, should certainly consider ice fishing. There is no need to rent a boat, and as you become more experienced, you will be able to catch fish from almost any spot on the river or lake. You will need different equipment, including an ice auger to drill a hole in the ice, and in extremely cold environments, you may want to take along a portable shelter. Just be sure that the ice is thick enough to walk on before setting up shop. Fly fishing can be done in both fresh and saltwater, and to start, all you need is a rod and flies. Flies are a type of bait that resemble actual insects, and they are highly effective when it comes to attracting fish. Flies are usually constructed from feathers, yarn, wire, thread, and beads, but you will need a specialize fly rod and weighted line to be successful. The experts at FishingLicense.org has observed that flies can help you catch salmon, trout, bass carp, and other types of common fish.